Two marvellous building plots each of approximately one third of an acre in a lovely south facing edge of village location having the benefit of planning permission for the construction of two detached houses. From this particular private sunny location on the edge of the unspoilt picturesque village of Slapton views are enjoyed over the adjoining countryside. Outline Planning Permission was granted on the 24th January 2018 for the construction of two detached dwellings, application number 1736/17/OPA, from South Hams District Council. The existing property Highclere will share the first section of a newly constructed driveway serving to two plots. The plots, rectangular in shape, will each have an area in the region of one third of an acre nestling very nicely into the gently sloping hillside and having the southerly aspect. The plans show two storey dwellings of approximately 1,554 SQFT. Freehold, vacant possession will be given on completion of purchase. 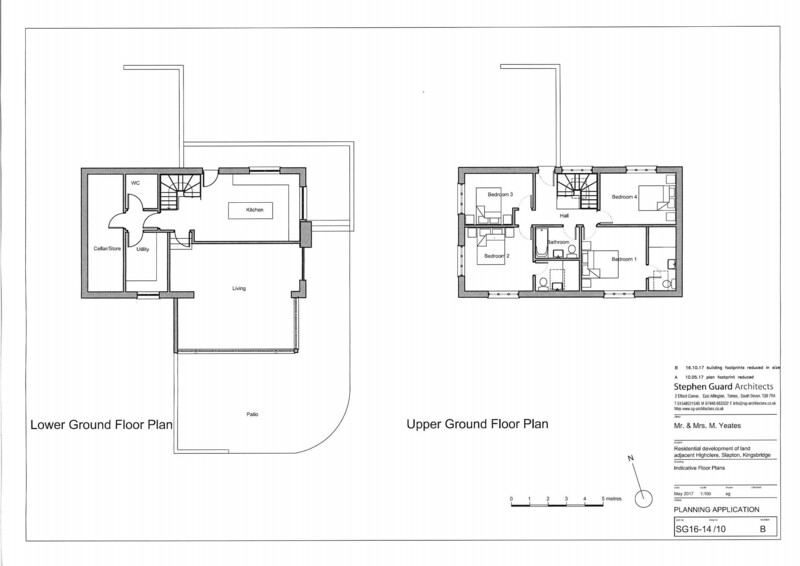 Outline P.P for two detached houses each approx. 1/3 of an acre in marvellous south facing private location.